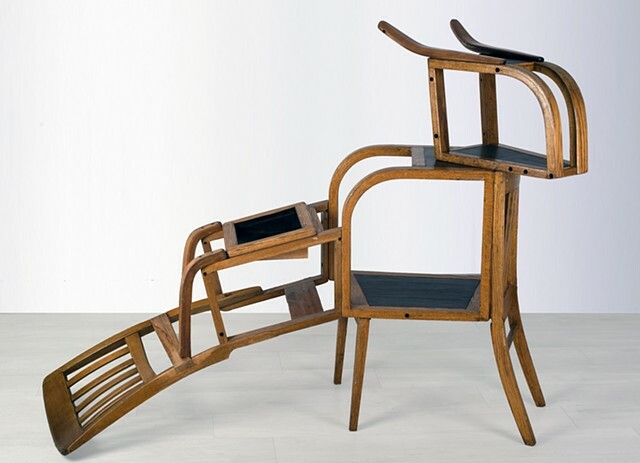 Eriksmoen's work addresses the gap between the living world and the built world, suggesting animate and sentient qualities in constructed furnituresque objects. 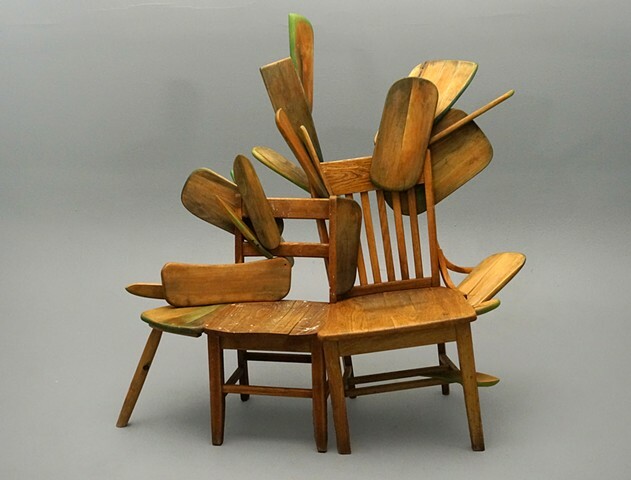 Eriksmoen’s work also addresses issues of sustainability, natural resources, consumerism, and waste as they relate to furniture production. 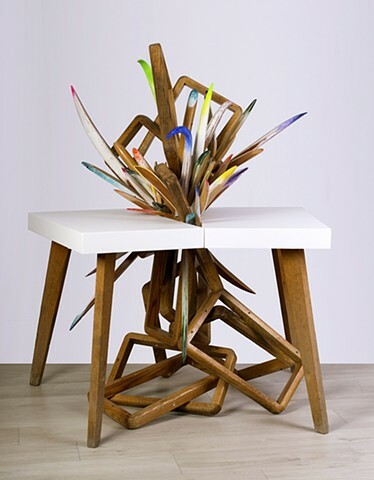 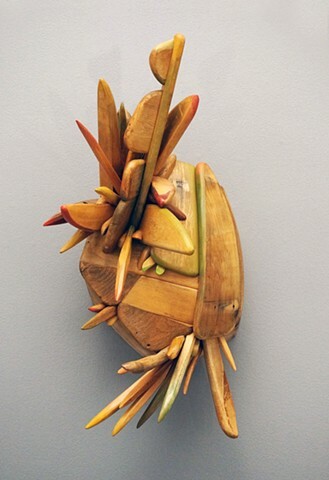 In the body of work Feral: Rewilding Furniture, Eriksmoen utilises discarded wooden furniture, reconfiguring components into unlikely, mutated forms reminiscent of tropical flora and fauna. 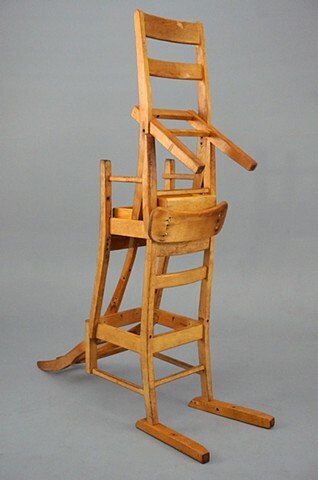 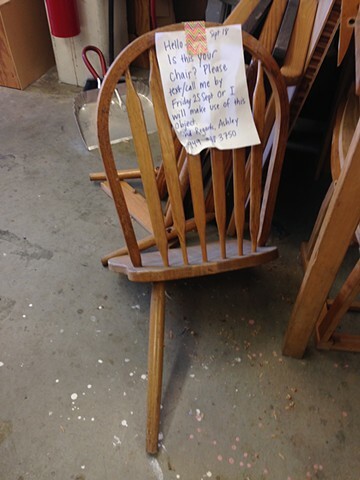 The structural mash-ups, derived from a primordial soup of abandoned wood furniture parts, retain their prior genetic lines of DNA, and evolve with plans to be both living entities (like their arboreal ancestors) and functional objects (like their furniturial predecesors). 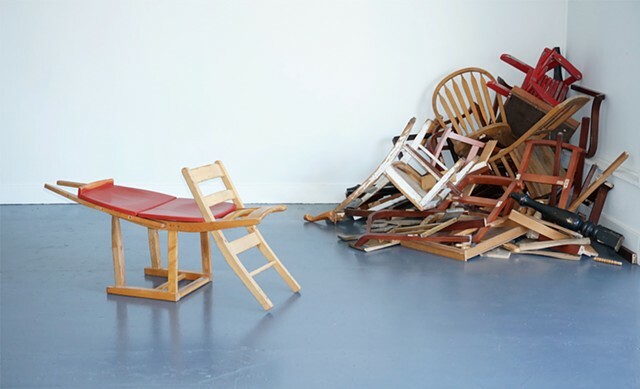 The resulting works occupy domestic spaces and re-wild modern interiors, challenging Cartesian notions of order, utility, and the planned universe.